Existing and potential allies of the Congress have bitterly criticised the party in the last 48 hours for its unbending attitude in putting together alliances to defeat the Bharatiya Janata Party (BJP)-led National Democratic Alliance in the 2019 Lok Sabha polls. However, Congress leaders said they are working to a well-thought-out plan, at least in Uttar Pradesh, to keep the BJP’s tally down and pressure Mayawati-led Bahujan Samaj Party (BSP) to put up an “honest” fight in the state. People close to Mayawati are currently facing probes by central investigating agencies. On Monday, BSP chief Mayawati and her ally Samajwadi Party (SP) President Akhilesh Yadav accused the Congress of trying to spread “confusion” among the electorate in Uttar Pradesh. The state could make or break the BJP’s chances of returning to power at the Centre. The SP, the BSP and the Rashtriya Lok Dal have an alliance. The Congress is not part of that alliance. It is trying to effect alliances with smaller parties. 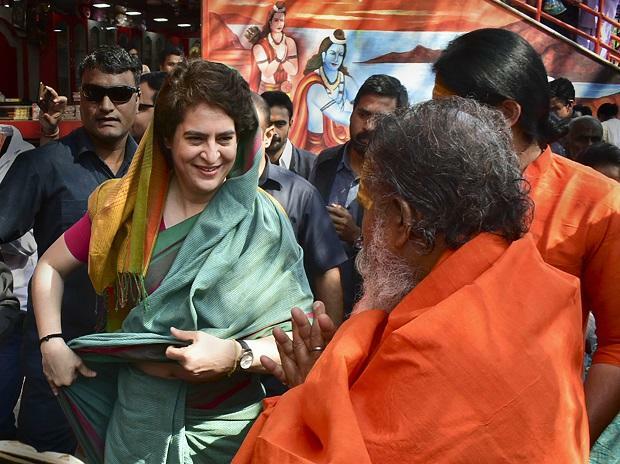 On Monday, Congress general secretary for UP east Priyanka Gandhi Vadra began a much-publicised tour of Allahahbad and Varanasi. The party has also announced that it will not field candidates in at least seven Lok Sabha seats in UP, which was met with scorn by the BSP chief. "The Congress is free to field its candidates on all the 80 seats in Uttar Pradesh alone. In other words, our alliance is capable enough of defeating the BJP. The Congress should refrain from spreading confusion about leaving seven seats for the alliance," Mayawati tweeted. She also said, "The BSP would like to make it clear once again that there is no alliance or understanding with the Congress in Uttar Pradesh and anywhere in the country." "Our party wrokers should not succumb to confusion being spread almost every day by the Congress," she said. The BSP is exploring alliances with non-Congress, non-BJP parties elsewhere in the country, including in Punjab, Andhra Pradesh and Haryana. In a tweet, Yadav supported Mayawati. "In Uttar Pradesh, the SP, BSP and RLD alliance is capable of defeating the BJP. The Congress party need not spread any kind of confusion." ALSO READ: Are general elections a referendum where polls are about 'Modi vs Nobody'? Apart from the seven it plans to leave for the SP-BSP-RLD alliance, the Congress has announced leaving two seats for the breakaway faction of Apna Dal, and entered into an electoral agreement with the Jan Adhikar Party. On Mayawati's and Yadav's comments, senior Congress leader Ghulam Nabi Azad, who until recently was party in-charge for UP, said: "Let them do and say whatever they want, but we will do what is best for our party." In Bihar, Rashtriya Janata Dal (RJD) leader Tejashwi Yadav wants the Congress to sacrifice some from its share of seats to accommodate allies. On Saturday, he called upon the Congress to let go of some of its seats in the larger interest of "saving democracy and the Constitution". The RJD leader said his party, despite emerging the largest party in the 2015 Bihar Assembly polls, made Nitish Kumar chief minister of the state. There are multiple claimants in Bihar to the 40 Lok Sabha seats of the state, and the RJD is contesting on lesser number of seats than it did in 2014. In UP, the Congress strategists say the party will field candidates on 68 seats, but the focus would be on the 29 seats where it has a good cadre base and where it has performed well since 2009. However, its other focus is to ensure it puts up a good fight in seats that the BSP is contesting as part of its alliance. This is ostensibly being done to reclaim its support base among Dalits, but the underlying objective is to keep the BSP under pressure to put up a stronger fight. According to the SP-BSP-RLD deal, the SP will contest 37 Lok Sabha seats in UP and the BSP 38, leaving three for the Ajit Singh-led RLD and two for Sonia Gandhi (Rae Bareli) and Rahul Gandhi (Amethi). The seats where the Congress has offered not to field any candidates are Mainpuri, Kannauj and Firozabad, all held by the SP, and those likely to be contested by the BSP chief and RLD chief Ajit Singh and his son Jayant Chaudhary. The Congress said it was reciprocating the gesture of the alliance, which is not fielding candidates in Rae Bareli and Amethi for it. The Congress alliance with the Left in West Bengal was also seemingly unravelling. But, Congress President Rahul Gandhi and Communist Party of India (Marxist) chief Sitaram Yechury are likely to meet to iron out the rough spots even as the Congress is set to announce its list of candidates for the polls. The Congress is upset that the Left parties announced their list of candidates without consulting it. The Congress has struck alliances in Tamil Nadu, Maharashtra, Jharkhand and Karnataka with regional parties.